When you get your first Rift or HTC Vive HMD, you’re supplied with a foam pad that separates your face from the hard plastics of the HMD. The trouble with these pads is that they can wear quickly and soak up all manner of sweat and nastiness from your face during an energetic VR session. The foam pads also distance you somewhat from the display optics. This can be to allow for glasses-users to fit their prescription lenses between their face and the optics. However, it also reduces the immersion factor of the displays. Shortening the distance between your face and the optics boosts the feeling of immersion. This can be achieved by using thinner foam pads. To this end, I purchased a set of 6mm VR Covers for my HTC Vive. I’ve been using VR Cover ever since I bought my first ‘modern’ HMD, the Occulus Rift DK2. Back then the cover I was using was a soft fabric item. The cover was designed to be wrapped around the original foam. Getting accurate alignment of the cover was a little tricky. 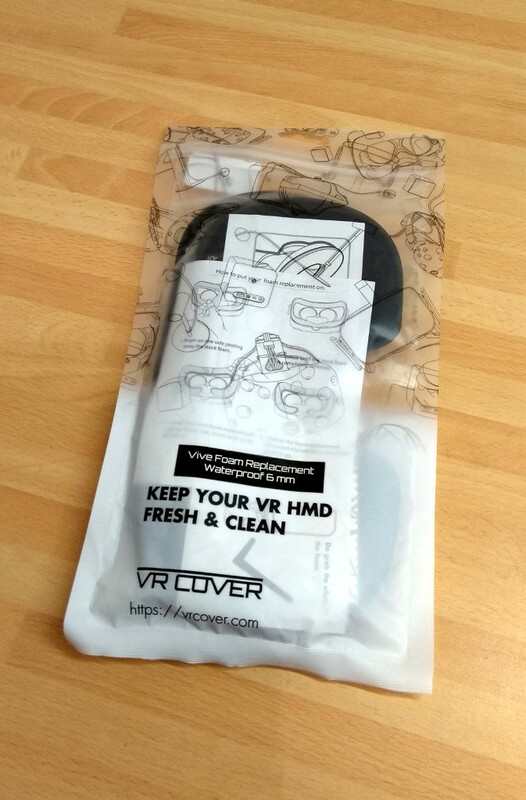 Later, when I bought my HTC Vive, I bought a second set of covers from VR Cover. As before these were wrap covers for the existing foam. Instead of the soft fabric, I went for the new, leather-style wipe-clean option. I actually found these more comfortable than the soft fabric version. However, this still left the original thickness of the foam and the covers were still a bit tricky to fit. 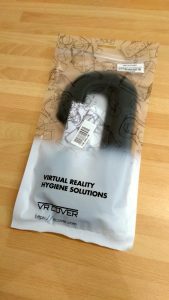 VR Cover then began offering a complete replacement pad as an all-in-one solution. These pads are also available in different thickness options. The OEM foam pad on the HTC Vive is held in place by a velcro ‘hook’ strip that runs around the edge of the HMD where it meets your face. It stands to reason, a replacement felt-backed foam pad of the same dimensions can be substituted with relative ease. The 6mm VR Cover does just this. 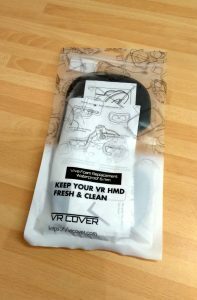 Made from a similar material to the wipe-clean covers I had before, the 6mm VR Cover is an all-in-one replacement pad and wipe-clean cover. The kit I bought included two 6mm thick VR Cover foam pads in wipe-clean black. The kit was delivered in a handy re-sealable bag so you can keep the second pad dust-free in reserve. While the quality of the packaging is great, preserving the re-sealability means opening it carefully. It took me a couple of minutes to get inside! The two pads in the packet are, as you’d expect, notably thinner than the OEM pads they’re designed to replace. The material quality is excellent, closely resembling the black leather-style material of my earlier VR Cover wipe-clean covers. With the cover material being completely integrated with the foam and the backing material, it really is a simple swap for the OEM foam. 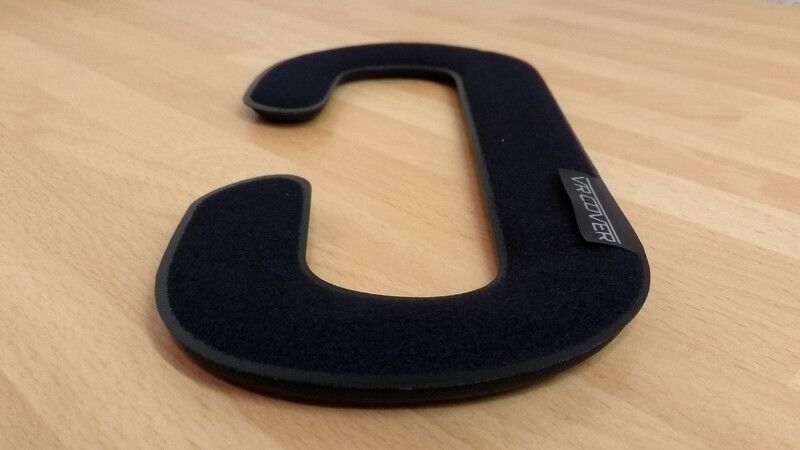 The felt backing is designed to easily attach itself to the Vive’s existing Velcro strip. 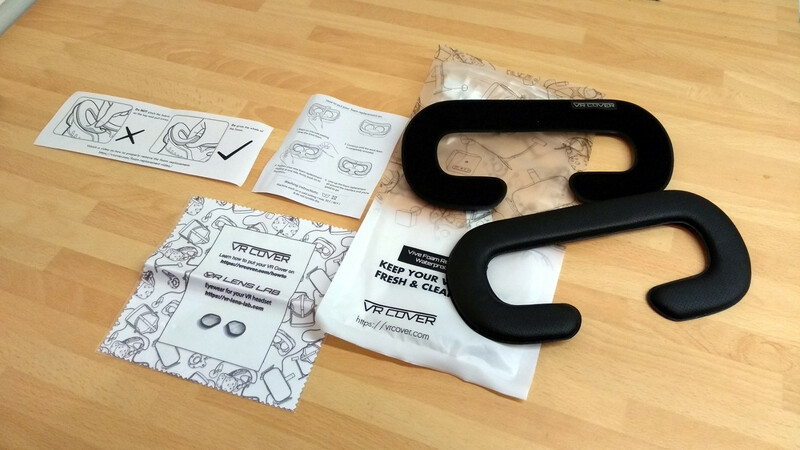 The kit includes visual instructions for swapping the VR Cover in place of the OEM foam pad on your HTC Vive. There is also a URL to visit which includes a video demonstration of the installation process. While the installation of the VR Cover is simple, I did hit a snag with the Vive’s velcro strip. The Velcro strip on the Vive is the ‘hook’ side of the system. It is applied to the Vive as an adhesive backed strip. Unfortunately, the strength of the velcro exceeded the adhesive in the area near the nose pads. I noticed straight away that the adhesive was pulling away and stopped. I revised my strategy, stuck the strip back down and pulled the velcro away in the opposite direction. This is a bit of a failing in the HTC Vive where HTC probably didn’t consider that their customers would want to change their foam pads so often. With the HTC Vive’s OEM foam pad removed, the 6mm VR Cover can then be applied. The instruction detail how to do this, starting at one edge and working your way across. Naturally, ham-fistedness and lack of patience meant this didn’t go to plan for me. I had three goes at doing it the recommended way but always managed to misalign it. After adjusting the head straps correctly, I put the Vive back on and was immediately impressed with the difference. I’ve always likened the modern VR HMD experience to pushing ones face through a hole in a wall to the virtual reality. How far you perceive your face to be going through that wall defines how immersive the experience feels. 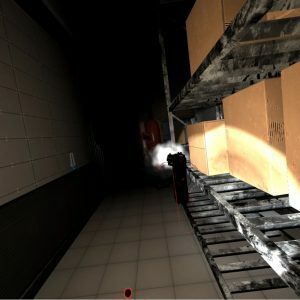 With the stock, OEM foam pads on the Vive, there was still the awareness of the optics and the feeling of my face and eyes being at the inside edge of the ‘wall’ in virtual reality. While good, you knew it could be improved. With the VR Cover 6mm pads, the difference was notable. It now felt that my face was well through the wall in virtual reality. I felt that more of my peripheral vision was exposed to the visuals. I could look to the side at slightly greater angles than before without seeing the inside of the HMD. The passive elements of immersion were improved also. Previously, there was a gap below my eyes into the real world. In a lit room, this would reduce the overall immersive effect. The 6mm VR Cover meant this gap was gone, blocking all light from the room. I also realized at this point, I’d been using the gap to ‘cheat’ and occasionally look directly at my Vive controllers when I was picking them up. Hey, you can’t win em all! The VR Cover pads also covered the edges of the HMDs plastic with a good margin. This meant that there was no sensation of the plastics digging into my face. This can be an issue with some ‘homebrew’ methods of reducing the face/optics distance. The all-in-one VR Covers are massively more comfortable than the OEM foam for me. 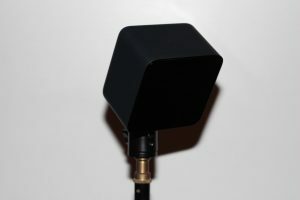 The OEM foam could sometimes seem almost abrasive and often sweaty. The VR Cover material is a colossal improvement. One concern I had was that the reduced gap between my eyes and the HMD as well as the closed gap under my nose would mean more steaming-up of the optics. 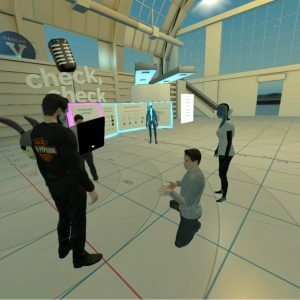 I’m happy to say I didn’t encounter any steaming up during a 1 hour session with the Vive. I suspect the lack of steaming-up is because my breath, especially when exhaling through my nose was now diverted entirely under the HMD rather than rising through the gap below my eyes. 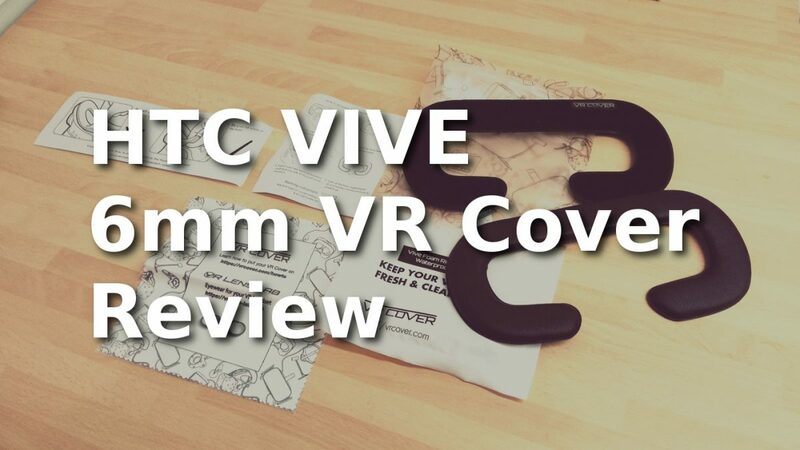 The 6mm VR Cover for the HTC Vive is a great product. 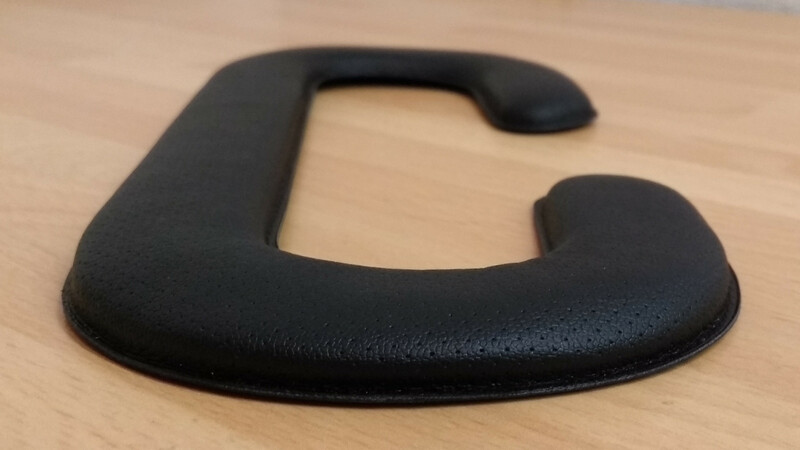 Personally, I believe it’s a must-have product not just for the improved comfort over the OEM foam but for the overall improved experience when used with your HTC Vive. The good only reason not to use the 6mm covers is if you wear glasses with your Vive and need the extra clearance. If this is the case, there’s a 14mm thick version of the same covers available or even VR Lens Lab for a fully integrated solution.